The Minnesota siding market is saturated with options. Depending on your needs and desires, there is almost certainly a siding options perfectly suited for your home. 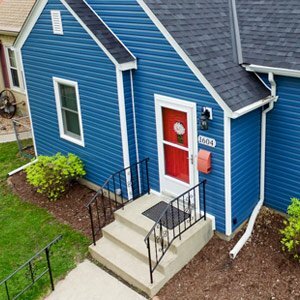 The wide array of options means that Minnesota siding can be handpicked to meet your needs, but the diversity of choices can also be overwhelming for many homeowners. Vinyl Siding has new technology which has made it a more desirable option. Vinyl siding options are endless, offering multiple styles, colors, price points, and performance. Whether you are on a tight budget or want top of the line features, there are vinyl options suited for your needs. Today’s best vinyl siding offers upgraded features including high R-factor insulation and hail resistance. Wood Shakes, Scallops, or Board and Batten style siding all offer a timeless look and are still very popular options. Traditionally, the major drawbacks to these real wood styles are the high price tag, added maintenance, and expert installation required. 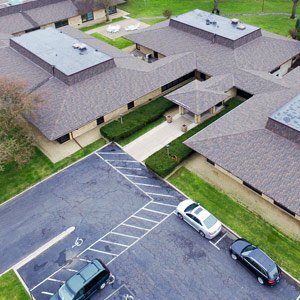 The good news is that today there are a number of composite material alternatives to wood shakes that offer the same look with little or no maintenance. Two of our most popular alternatives are Jams Hardie and LP Smart Side. James Hardie is the industry leader in fiber cement siding and backer board. It is extremely durable and designed to resist hail damage, rot, termites, and cracking. The product can be painted any color, making it simple to create the precise, unique look you want for your home. James Hardie is also offered at a reasonable price point making the product durable, affordable, and customizable. LP Smart Side is a similar to James Hardie, and a favorite product among the homeowners Snap Construction works with. It offers added durability, promising to stand up against all mold, fungal decay, and termites. Snap Construction has personally tested this product in all conditions to verify the manufacturer’s claims of durability. The product is offered in a variety of styles and colors. It does not have the color customization option of James Hardie, but there are a range of colors offers. The various siding style options range includes traditional lap, panel, shake styles, and more. The product does a great job of mimicking the appearance of real wood without the maintenance. LP Smart Side is also offered at a competitive price. We hope this review of siding options will help making your Minnesota siding remodel decision easier. We are happy to provide more information and help customize the right siding solution for your home.